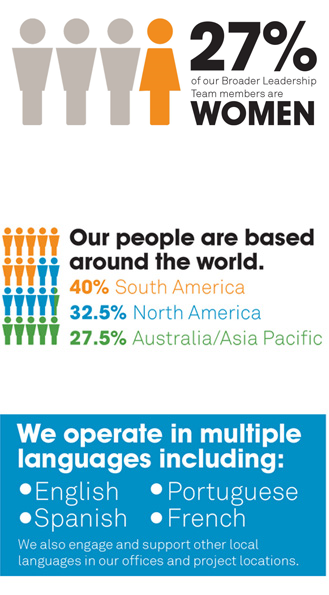 We believe diversity is a people and business imperative. It is ingrained in our ethical and social responsibilities, grounded in our core values and helps us discover and develop new possibilities. As a global company we embrace and encourage diversity in its fullest sense – gender, age, experience, nationality, colour, language, religion, location, disability, education, skills, working styles and time availability. Our work environments are based on mutual trust and respect for the dignity, rights and opportunities of every individual. Gender diversity – For every role we hire, we proactively seek suitably skilled or experienced females to include on the short list.